Born already fatherless on 4 August 1912 in Lidingö, in the suburbs of Stockholm, Raoul Wallenberg grew up surrounded by strong and supportive people, and became an independent and responsible person. Since his early childhood he traveled throughout the world to pay visit to his Grandfather, Gustaf Wallenberg, diplomat and businessman with whom he kept on corresponding and exchanging ideas on a vast variety of issues until 1937, the year of his death. A feature of the Wallenberg family was a cosmopolitan vision of the world: Raoul in fact was encouraged to learn foreign languages, to study other cultures and to travel. He undertook Architectural studies in Ann Arbor, in the USA, and after graduating he was sent to Cape Town in South Africa. Afterwards he went to Haifa, in the Northern part of Israel (then Palestine), where he met some Jews who had found shelter there. There he learnt from a German Jew about the atrocities that the Nazis were carrying out in Germany. When Second World War broke out in 1939, Raoul was already back to neutral Sweden. He joined the National Guard and started working for a trade company that exported and imported food between Sweden and Hungary. The firm owner, Mr. Koloman, entrusted Raoul with the task of representing the company in Hungary. In the first months of 1944 there were nearly 800,000 Jews in Hungary. Since they were subject to discriminatory laws, they were spared from deportation and the Hungarian authorities had no intention whatsoever to exterminate them. In March 1944, though, the Germans, irritated for the insubordination of their allies and the reluctance of the Hungarian authorities to “solve the Jewish question”, decided to enact stronger measures. Germany occupied the country and the SS decided to annihilate the Jewish population as quickly as possible. In less than two months about 150 trains transported 437,402 Jews from Hungary to their final destination, Auschwitz-Birkenau. The bureaucratic mastermind behind the extermination of the Hungarian Jewry was the SS official Adolf Eichmann. In 1944 the world started becoming aware of the German extermination campaign. US President Franklin D. Roosevelt thus decided to create the War Refugee Board in order to mobilise the people who could help and rescue from deportation and death the Jews and other persecuted people. This board demanded the support of Sweden, which sent there Raoul Wallenberg as special envoy of the Swedish mission to Budapest. When Wallenberg arrived at Budapest on 9 July 1944, the Red Army of the USSR was moving westwards to the capital and the German defeat was coming closer and closer. Under the pressure of the foreign heads of State, Hungarian Regent Horthy decided to halt the deportation of Jews. It was a strong blow to Eichmann and the Germans, who did everything they could to force the Hungarians to resume deportations. In Budapest, Raoul Wallenberg set up a special “humanitarian section” of the Swedish mission with the specific task to rescue the Hungarian Jews. Wallenberg invented a new type of document, the Schutzpass. This protective pass was given people with close family or business ties with Sweden. The owner of this type of passport did not have to wear the otherwise compulsory David Star and was exempt from most other anti-Semitic laws. Raoul also employed hundreds Jews in the mission’s humanitarian section, in order to protect them. In Autumn 1944 the war was close to an end. The German army was withdrawing both from the Eastern front and from the Western one. The Hungarian regent rejected the pro-German government and put definitively an end to Germany’s aim at resuming deportations. Adolf Eichmann left Budapest. Wallenberg’s rescue operation had been successful and the political situation was turning to the better. On 12 September Wallenberg reported to the War Refugee Board that the deportations “have been completely halted” and “the effort to issue the protective documents is almost finished”. However, on 15 October the Germans plotted a coup and installed as prime minister the fanatic anti-Semite, leader of the Arrow Crosses, Ferenc Szàlasi. Adolf Eichmann got back on track an compelled people to reach the death camps on foot. Women, children and elders walked night and day in the notorious “death marches”. Often, Wallenberg and his coworkers went on the street to distribute food and save whoever could be saved. The Arrow Crosses had little respect toward the protective passports and the diplomatic immunity, and a new wave of violence devastated Budapest. In November, the Hungarian authorities set up come ghettoes, where the Budapest Jews were amassed before being deported. Over a hundred houses were under the protection of the Swedish and Swiss embassies and people in there were temporarily sheltered. Nonetheless the followers of the Arrow Crosses broke into the houses and hundreds people were taken to the shores of the Danube where they were killed. Life in the ghettoes was desperate. Raoul Wallenberg organised food supplì on a daily basis for the hungry and helpless residents. He quickly understood the new situation and used his broad network of acquaintances to speed up the rescue operations in Budapest. He worked day and night, went to the train stations and in other gathering places, ordering officers to release the Jews with protective passport who were in hist list. He used his familiarity with the German bureaucracy cunningly, to manipulate the system. His energy, his contacts and his bravery enabled him to save many lives, often before the eyes of the villains. Despite the imminent end of the Nazi state, Eichmann relentlessly pursued his goal. The Swedish mission was persecuted by the Arrow Crosses and on Christmas eve of 1944 its seat was assaulted. Eichmann was fully aware of Wallenberg’s steady rescue efforts, he was his enemy, and he expressed the wish to see “that Jewish dog” shot dead. By the end of December, the Red Army had reached Budapest. The leaders of the Arrow Crosses had flown, as had Eichmann. Rumors suggested that the 60,000 Jews in the walled ghetto would be slaughtered before the entrance of the Red Army into Budapest. Wallenberg, wanted by the Nazis and the Arrow Crosses, went into hiding, and he was no more able to directly influence the events. Instead, Pál Szalai, a former member of the Arrow Crosses, met German general Schmidthuber and, relying on the authority of Wallenberg’s name, managed to stop the action, thus saving the ghetto inhabitants. In January 1945, the Red Army entered Budapest and the Nazi terror ended. For the Soviet Union, Hungary was a foe, and the brutal war had dimmed the distinction between enemy soldiers, Nazi fans, civilians and bystanders. No one was safe in the widespread disorder that marked the last months of war. Raoul Wallenberg’s task in the Hungarian capital was nearly completed, but in the chaos that followed the liberation it was necessary to draw up a plan to reunite families and rebuild welfare. Wallenberg succeeded in doing so, and he was looking forward to presenting his plan to the Soviet authorities. On 17 January 1945, Raoul Wallenberg left Budapest together with his assistant and driver, Vilmos Langfelder. They were escorted by Soviet officers and soldiers. None of them would ever come back. Raoul was only 32 and he would never meet his family in Sweden again. Since the very moment of his disappearance, Raoul Wallenberg’s family sought in vain to discover what had happened to him. According to a death certificate issued in 1957, Raoul Wallenberg died in the Lubyanka prison on 17 July 1947. However, the authenticity of this document was never officially accepted. The exact circumstances surrounding the end of his life are still a mistery. 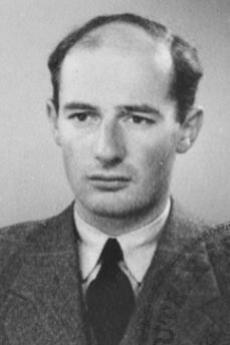 Wallenberg was recognized by Yad Vashem as a Righteous among the nations.